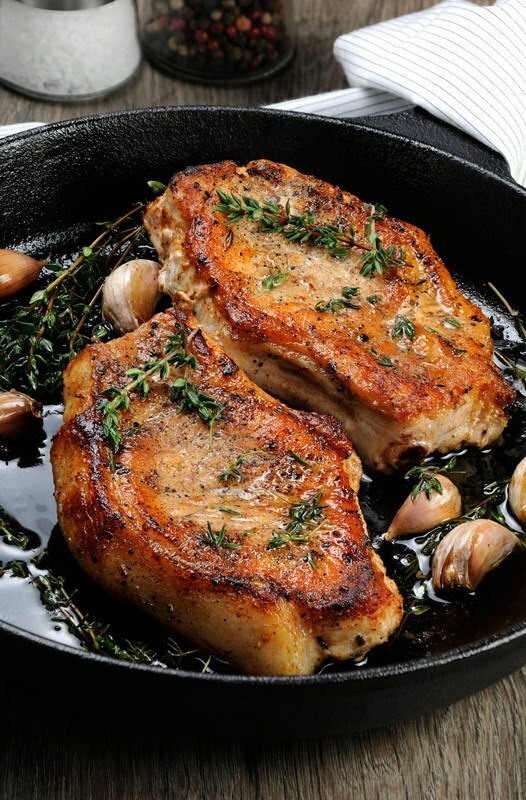 My pork steak recipes include my favorite including the juiciest marinated pork steak that you will every sink your teeth into. It can be grilled or slow fried in a heavy skillet like cast iron. Serve with my Sour Cream and Onion Mashed Potatoes (recipe below). This marinade is outstanding and can be use on steak, chicken, lamb, fish or vegetables. Just marinade for 15 minutes max and the meat or vegetables are ready to cook. Combine ingredients in a bowl and whisk until completely combined. Will keep in a tightly covered container in the refrigerator for 6 to 8 weeks. Marinate pork steaks in a 9x13 pan for 15 minutes. Meanwhile preheat cast iron pan on medium-high and when hot, add oil to fry. When oil is hot (flick water in pan and it will sizzle), slowly add marinated pork steak. We are going to sear the outside until it is golden brown on both sides which doesn't take long when pan is this hot. When both sides are golden, lower the heat to medium low/low and continue frying pork steak until cooked through - no pink in the center. To grill the pork steak, put your charcoal on one side of the grill to sear the steak and the other side is where the pork steak will continue cooking until done. 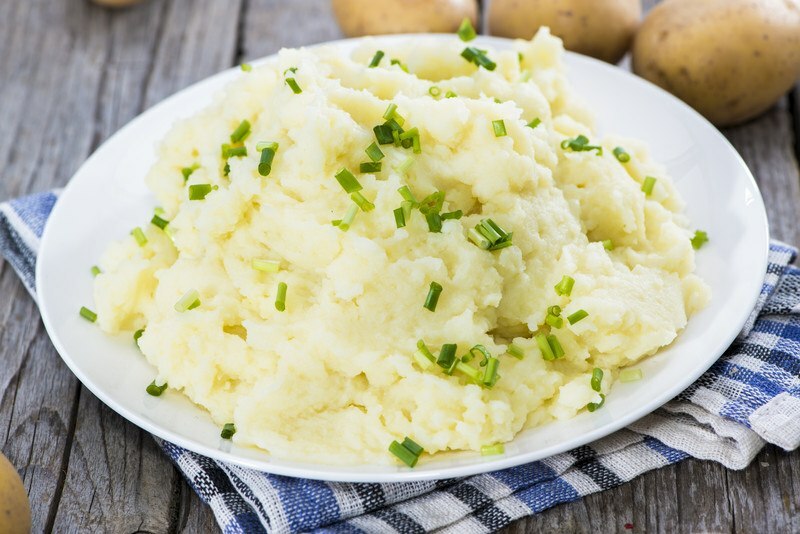 My Sour Cream and Onion Mashed Potatoes are one of my Creamy Carb loves. These potatoes are so versatile and go great with anything. Peel and chop potatoes into bite-sized pieces. Rinse and add to the saucepan to cook. Cover with chicken broth and bring to a boil. Add a tablespoon of salt and simmer for 10 minutes. If fork-tender, remove from heat and drain well. If not, continue to simmer for another couple minutes. When potatoes are almost done (check after 8 minutes), heat the milk and butter in a small pan on low until butter is melted. Turn off heat and leave on burner. When potatoes are done, drain and place back in the hot pan for one minute for the water to evaporate. Put potatoes in a mixing bowl and use the mixer on low to break them up until they are almost mashed (30 seconds). Over mixing will produce gummy potatoes. Slowly add the warm milk/butter mixture and process for 10 seconds. Add the sour cream and mix until you reach your desired consistency. I don't like them whipped and usually mix until sour cream is distributed throughout and stop there. Place in a serving bowl and add a pat of butter in the center (push in a little) and garnish with snipped chives (or green onion). If meat is still cooking, place in a warm oven (lowest temperature you can preheat), cover potatoes with foil until you are ready to serve them.